Whatever your product or service, what you put into it isn’t what your customer gets out of it. Features go in: benefits come out. Helping define and convey what’s critical to your audience is how we help them decide to call you first. Of course, creativity is meaningless if what we do doesn’t resonate with your audience and motivate them to respond. So we make sure the work we do for you, works for your business. This ad series highlights well-known folks around Columbus, who are lovers of the Short North, sharing one of their favorite store’s products. 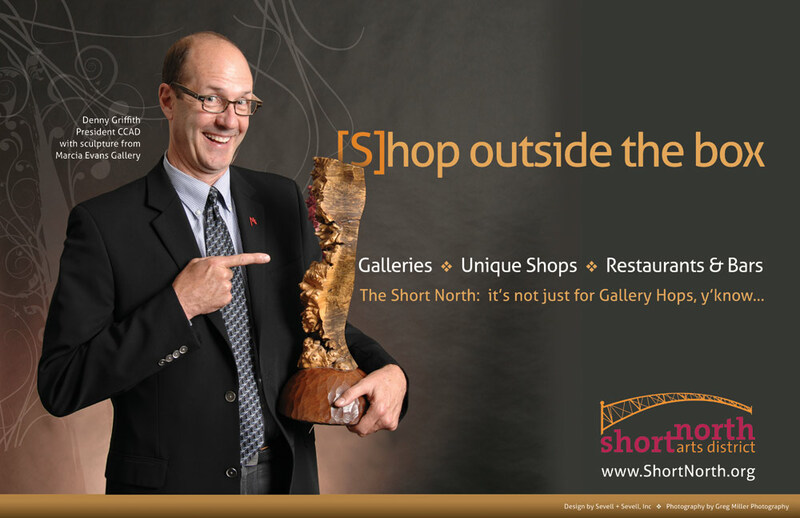 The “Shop Outside the Box” concept (developed by John Angelo) relates to the fact that the Short North is the antithesis of the big box suburban stores. The other meaning aligns with “thinking outside the box,” meaning you can be more creative in the Short North. 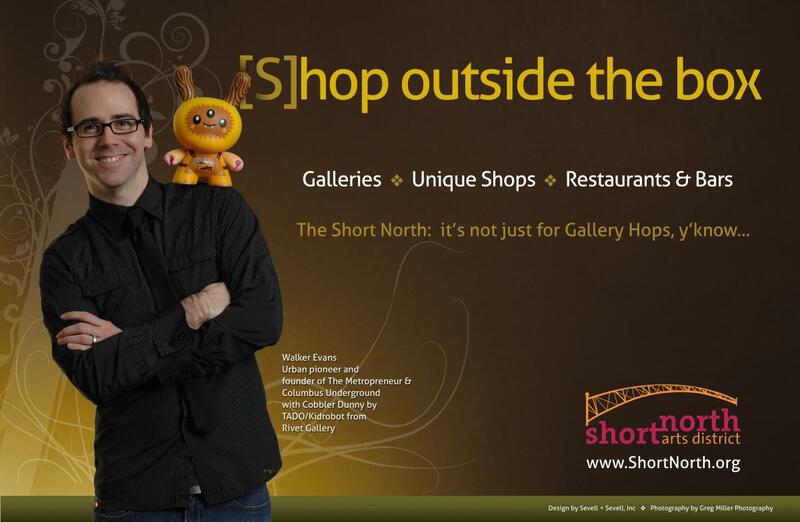 Doing the advertising campaign for the Short North was tons of fun. Photography courtesy of Greg Miller Photography.